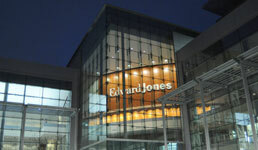 A proposed $3.175 million settlement between Edward Jones and participants in the company’s 401(k) who alleged ERISA violations relating to investment options could lead to as little as $10 in payouts for some of its existing and former employees and few commitments to substantively changing the retirement plan. At the same time, the settlement could lead to more than $1 million in attorneys’ fees for the plaintiff lawyers who pursued the case against Edward Jones. A federal court, which must approve the settlement for it to be finalized, has scheduled a hearing to consider the matter on Dec. 28. The plaintiffs alleged in their lawsuit, first filed in 2016, that Edward Jones could have chosen better and less-expensive investment options for plan participants, and lowered recordkeeping fees. According to a schedule plaintiff counsel devised — which is also subject to court approval — the 401k plan participants’ individual payouts will be proportioned by a calculation; specifically, the sum of each of their annual account balances from Jan. 1, 2010 divided by the sum of all participants’ account balances during the same time period. Mark Kindall, a lawyer with the West Hartford, Conn.-based Izard, Kindall & Raabe, which represents the plaintiffs, declined to comment on the litigation. Geoffrey Sanzenbacher, the associate director of research at Center for Retirement Research at Boston College, describes the lawsuit against Edward Jones as a “somewhat garden variety” of the type filed against 401(k) plan sponsors and administrators. “It fits into an overall pattern” of such lawsuits, he says. But settlements, such as the one Edward Jones negotiated with the plaintiffs, where the total payout per participant was relatively low and the firm’s substantive commitment to specific changes was next to nil, most likely “will have less of an impact” on retirement plan policies than deals with bigger dollar amounts and more detailed plan policy changes imposed, he says. Middle-Income Americans Having Financial Planning Problems?